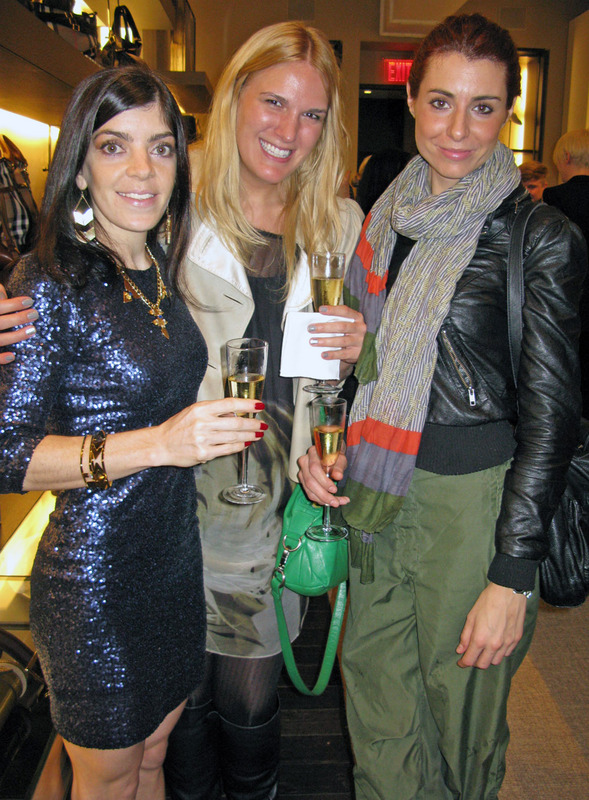 Despite the rain, the lovely ladies of Jené DeSpain Jewelry headed out to celebrate the holidays last night. 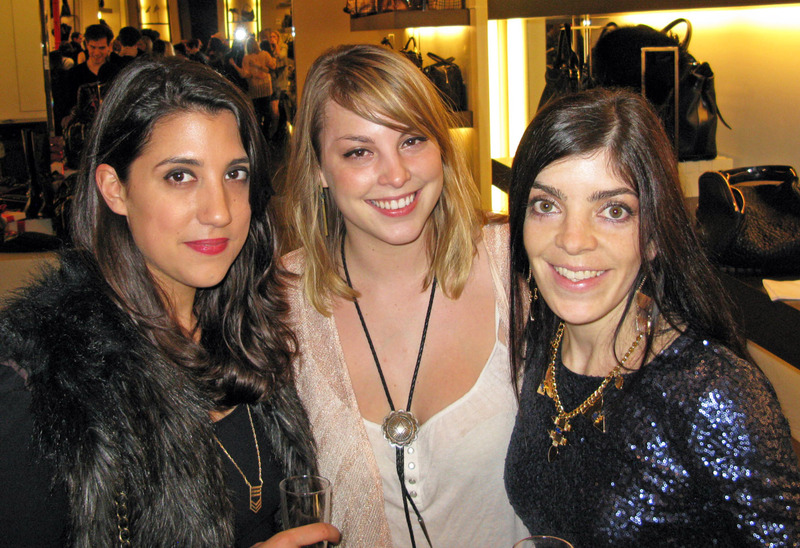 There were sooo many parties around NYC last night, so we put on something sparkly and faced the weather. I seem to have this re-occuring habit of never remembering an umbrella, but who wants to carry an umbrella all night?! Layers of jewelry and the kindness of strangers, who offer me refuge under their umbrella, are really my only defenses against the downpour. After dashing from one umbrella to the next, I made it safely to the front doors of Burberry’s Soho location, where ELLE Magazine was hosting their annual holiday festivities. Garance, Gianna, and I welcomed the glasses of Veuve and the sounds of choice tracks spun by Chelsea Leyland. We meet lots of pretty people and saw some old friends. 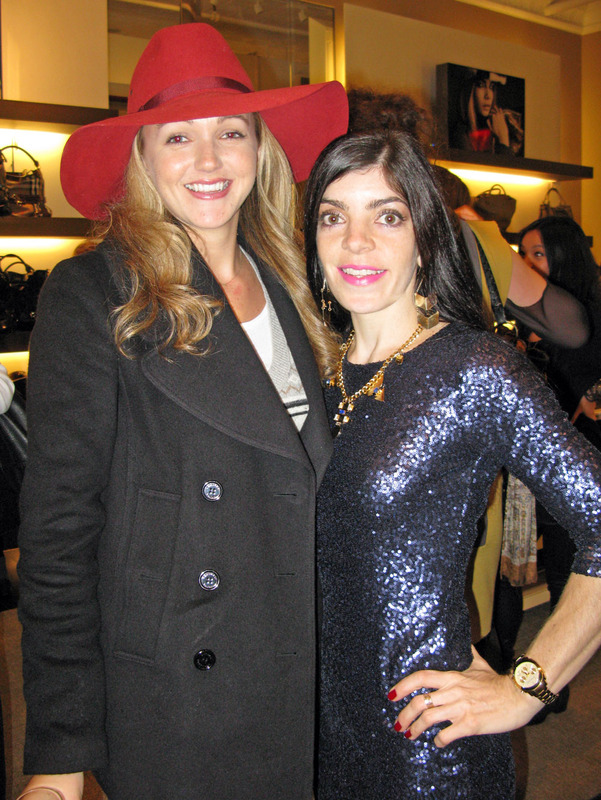 I was particularly happy to see Jodi Belden. She is a very lovely lady who makes the accessories magic happen at ELLE. We chatted about the chaos of the NYC Holiday season and shared a lil bit about our plans for Christmas traveling. She has impeccable style, and I’m always inspired by what she’s wearing. Her red hat was so striking, and a brilliant choice for a rainy night out. *Note to self – procure large bohemian hat that looks fabulous with everything to defend hair against future rain-filled evening!